DC Gift Shop is proud to announce that we now offer the 1oz 2012 American Gold Eagle in mint, uncirculated condition. Gold, with its ever rising price, continues to be a great way to diversify one's wealth/portfolio or they make fantastic keepsake gifts, particularly to children. 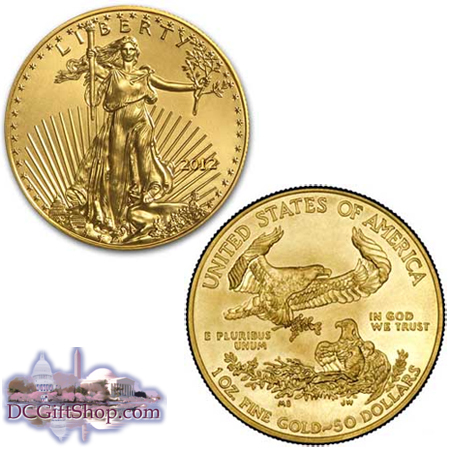 These coins are guaranteed by the U.S. government to contain the stated amount of actual gold weight in troy ounces. 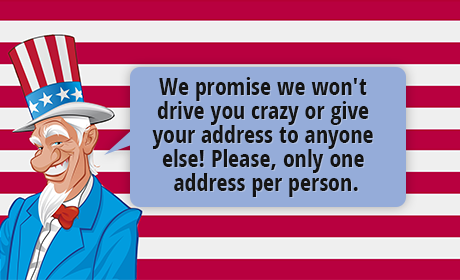 By law, the gold must come from sources in America. The actual gold fraction is .9167 or (22 karat). It is authorized by the United States Congress and is backed by the United States Mint for weight and content. The obverse design features a rendition of Augustus Saint-Gaudens' full length figure of Lady Liberty with flowing hair, holding a torch in her right hand and an olive branch in her left, with the Capitol building in the left background. The reverse design, by sculptor Miley Busiek, features a male eagle carrying an olive branch flying above a nest containing a female eagle and her hatchlings, along with the inscribed words: UNITED STATES OF AMERICA, 1 OZ. FINE GOLD~FIFTY DOLLARS, IN GOD WE TRUST and E PLURIBUS UNUM.